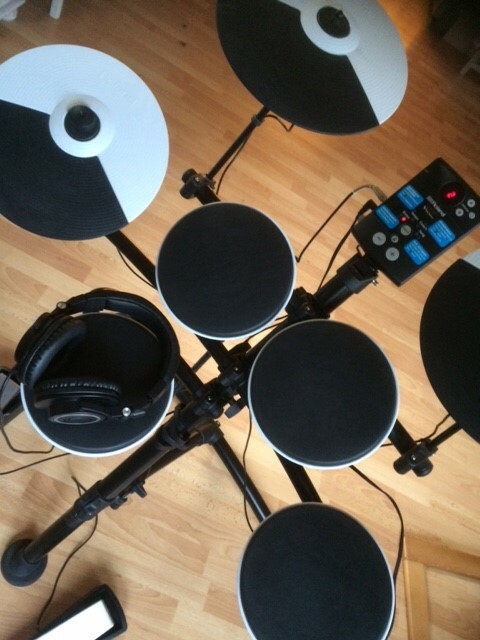 finally I bought digital drums. Need them for recording and rehearsals. Thought it was easy to play…. Great respect to all drummers out there… My body is not made for drumming. I need a lot of practice before my arms and legs obey my brain… It’s fun though… I realize I need to start with something easier than “Maybe I’m a Leo”.